This weekend I spent most I my time in my sewing room. It is by far the warmest room in our house, and it’s easy to lock myself away for an entire day, letting my artistic side thrive. I started this new project a week ago, and I had my revisions in mind. I cranked up the space heater and selected Dexter on Netflix and got my sew on. I emerged later covered in thread bits and with some brand new saddle pads in hand. They are quilted in my desired thickness, which is equivalent to a standard square pad. 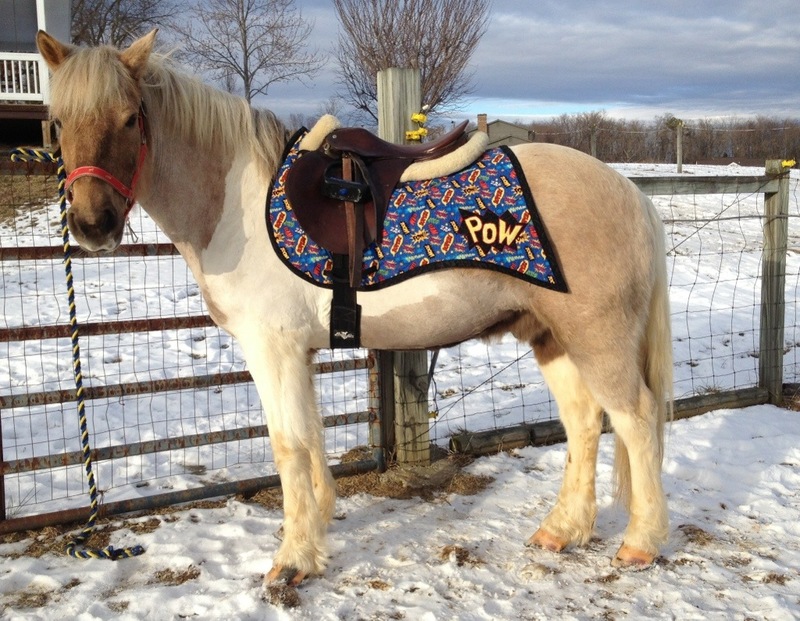 They are cut extra long to accommodate an adult saddle with a fleece half pad, and to still show pad all the way around. I also shaped them to contour to the back and prevent bunching and gaping. 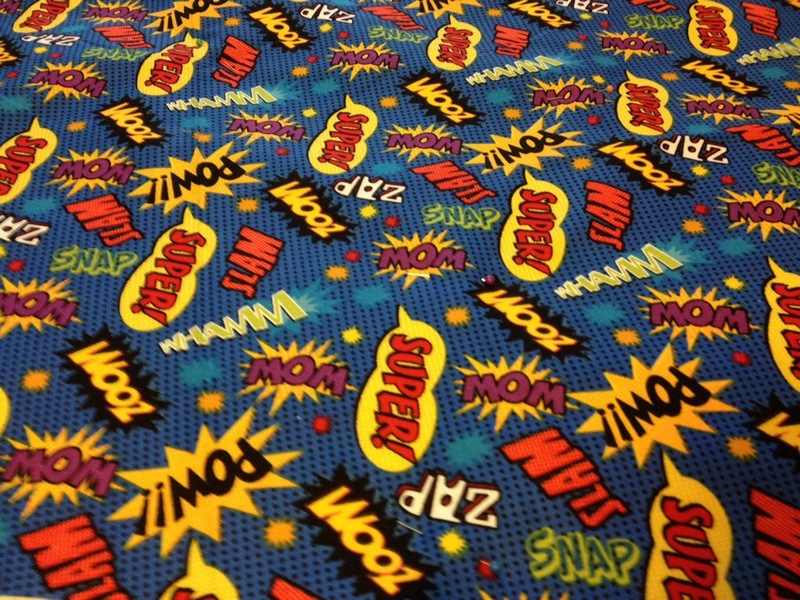 The undersides are lined with 100% cotton flannel for a drying medium, the middle is 100% cotton quilt batting and the top is a printed 100% cotton. Of course the pads are also equipped with girth and billet straps to make for a completed professional pad. To add a little extra fun I designed these pads in a swallow tail fashion. This is not going to be the only design I do. In fact, I started another pad last night in a different shape, that I hope to finish later this week. 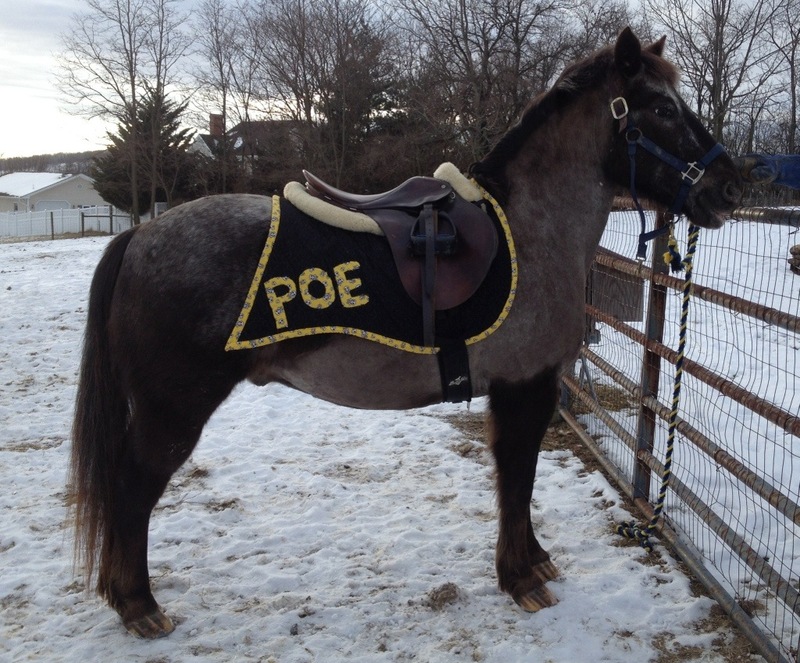 For Poe I wanted to go with a black and yellow color coordination and a pirate theme. 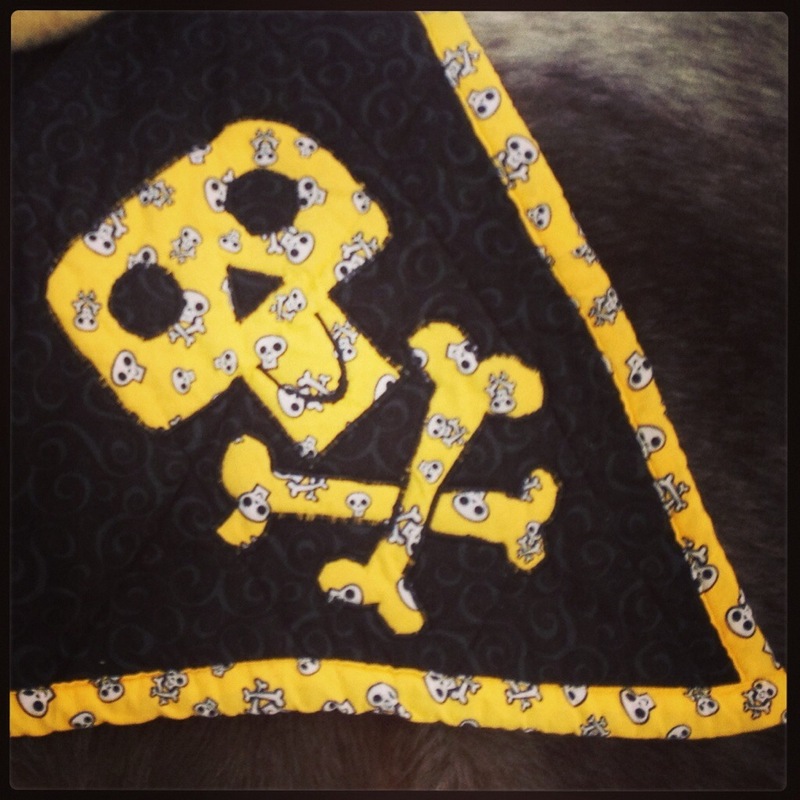 Ironically I had found some yellow fabric printed with smiling black skulls for this project. It fits me and Poe perfectly. 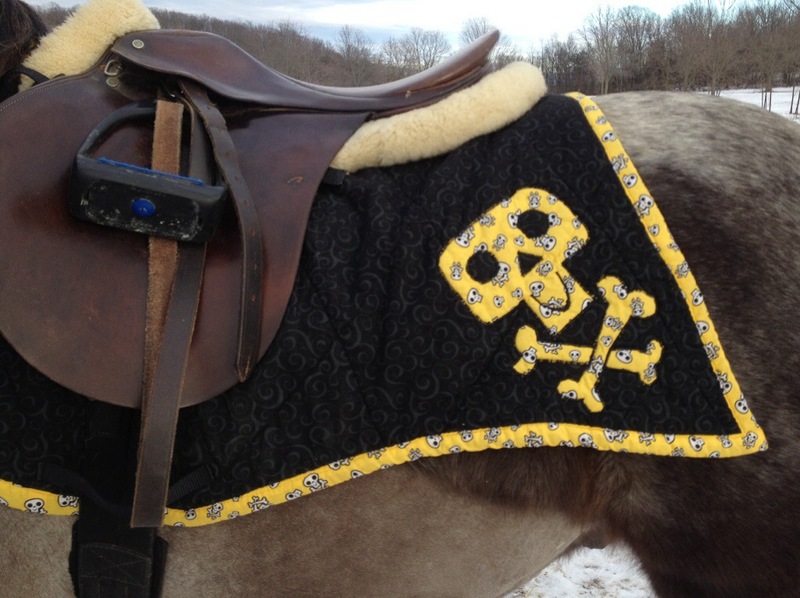 I also appliquéd a smiling skull and cross bones to match the yellow fabric onto one side of the pad, and “Poe” on the other side. I have not appliquéd in a while and my technique could have used a little bushing up and the Poe is a little larger than I would have liked in retrospect. I made a second matching pad (minus the “Poe”) so it can be used as a pairs competition pad too. Simon’s pad is blue with a super hero theme. It’s very Simon. 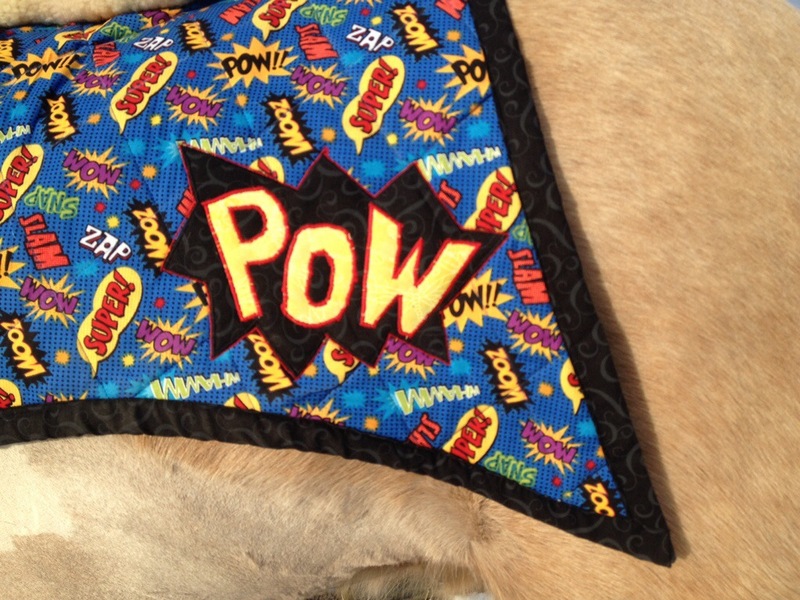 I appliquéd a “POW” on one side, which really makes the pad. I started to put a “Zoom” on the other side, but was unhappy with the layout of it so choose to leave that side plain. 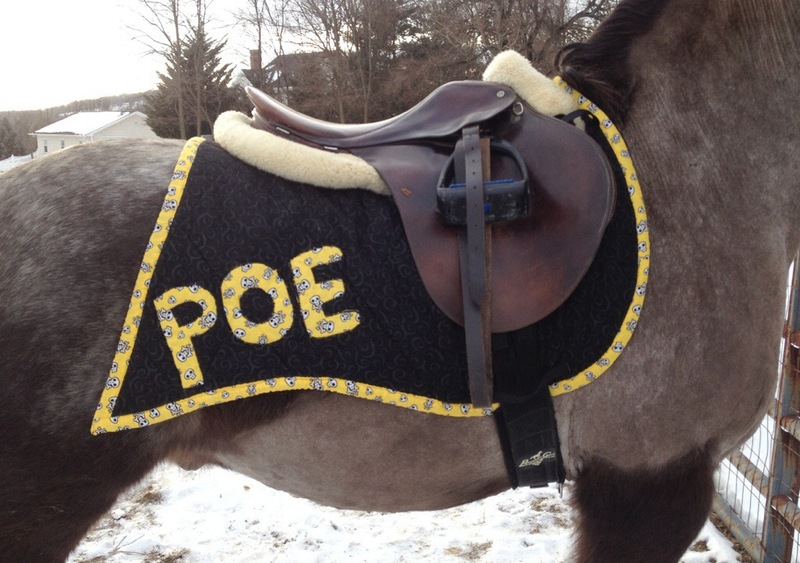 I did larger quilting on Poe’s pad, an tried smaller on Simon’s. I like show Simon’s came out better than Poe’s so that will become more of the standard. And I still need to practice up my appliqué work a little more to have a more professional finish in future pads. That’s said, I can’t wait to make some more. I am eager to get to a fabric store and stock up on more supplies and let my creativity flow! Sunday afternoon I fitted both pads to the ponies and was thrilled with the completed projects. Although both ponies were totally uncooperative models, I managed a few ok shots. I would like to try again with their full color coordinated tack, and brushed out coats. These look AWESOME! Well done and so festive. These are really nice! 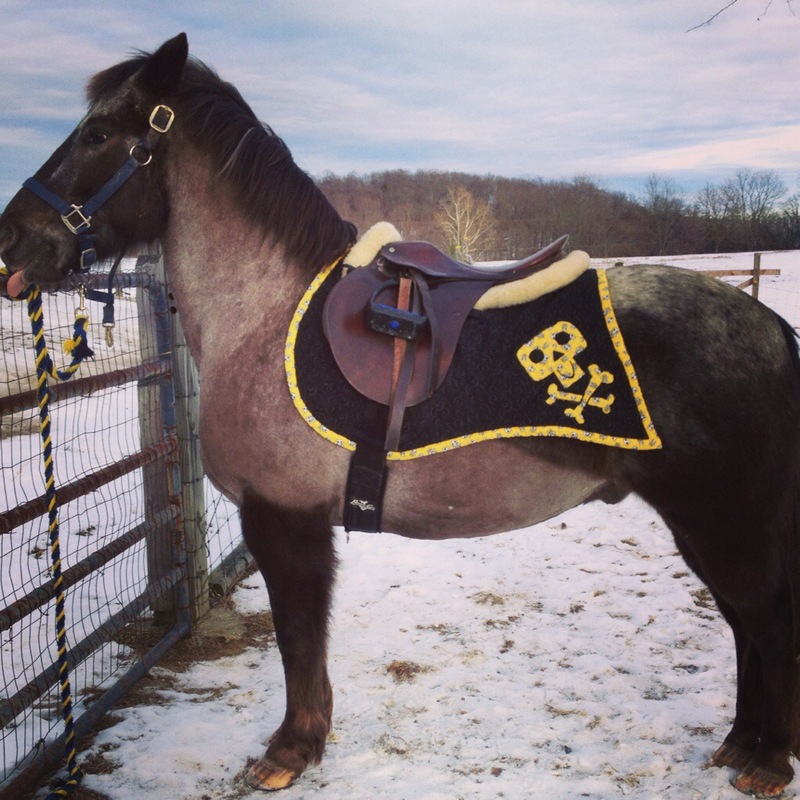 What weight fabric did you use for the saddle pads and the appliques? Did you have a pattern or copy an existing pad? I’m always terrible and getting the binding to be even. How did you get it so nice and straight? Thanks. I used basic quilt weight cotton for the top of these. Heavier fabric will endure better but I really like those prints. My mom made me A pad about 20 years ago out of quilt fabric and it’s still going strong though. I am currently working with some heavier cottons. There’s just not a lot of awesome print options. I make my own patterns for everything I make. It’s actually part of how I got into sewing, Wanting to change patterns. I am not great at binding either. Any quilter would put me to shame. Are you a crafter too? Do you make pads? I’ve sewn since I was a child. When my boys were little I sewed a lot for them, but there was always a change I wanted to make to every pattern I used. So, I started making up my own patterns. I haven’t done that in a while though. I’ve been a crafter all my adult life, but about 3 years ago, I decided to start a real business. 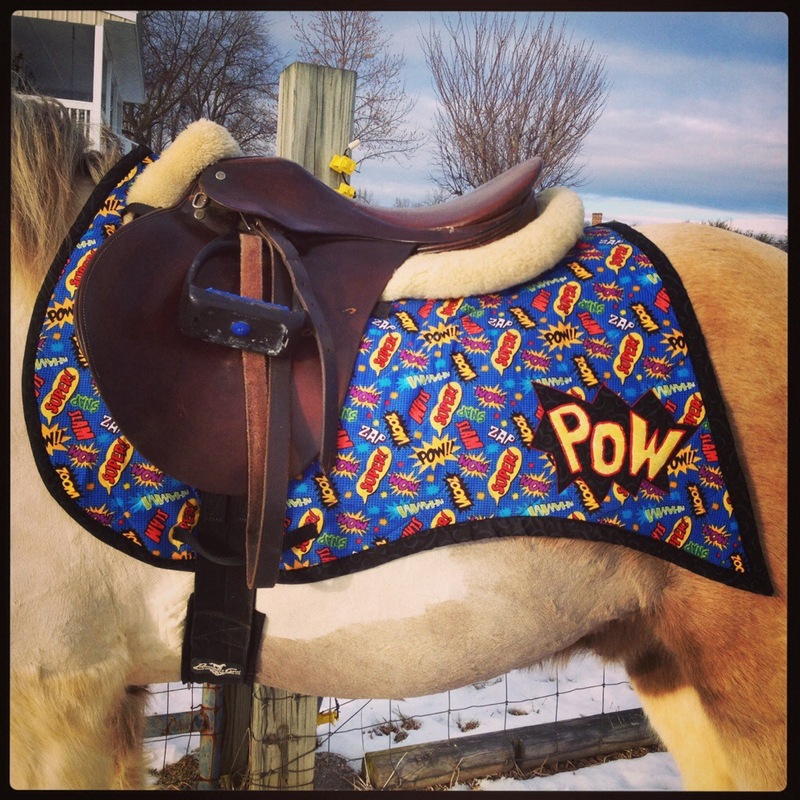 I have an embroidery business now and am wanting to add personalized saddle pads to the mix. I’ve been riding off and own for the last 40 years, so the love affair is still there. Your ponies are really cute. I’ve been looking around for one for my 4yo grandson, but he needs a packer who will take good care of him while he learns to ride. So far have not found one in a price range I can afford. Oh excellent. I love bringing together a business and a passion. And thanks for checking out my blog. Ponies are the best!